The Best and Unique WOTLK Private Server with pure Retail Scripts. The major instability issues that have been occurring over the past few weeks seem to have been corrected and we can return to our planned schedule. That means that some of the fixes that were reverted during the daily maintenances will be re-deployed and we can continue improving the server. We are also working on several things that will help us keep you notified more easily regarding the updates and new content in the months to come. In regard to Legends of Dalaran Tournament: Ulduar rewards and the Beta ToC invitations, please stay tuned – we will publish the results and grant the rewards, as well as contact you via the email addresses provided before announcing the final date. Unfortunately, the unexpected issues made the last few weeks quite chaotic for us. As you may know, we are a small team and much of the planned work had to be postponed to identify and root out the problem. We offer our sincere gratitude for the patience, support and trust you have shown us – it has certainly helped us work harder and get it done faster. With work back on schedule, the rest of the announcements and fixes will come during the following days. We have always listened to our community and we really appreciate all the votes and feedback that we have received regarding this matter. – Low level rewards will remain untouched and players will be rewarded normally: i.e. both experience and bags. – Gold rewards will remain untouched and players will be rewarded normally. – Since we are still somewhat in the initial stages of progression (Ulduar), for the time being players will not be rewarded with emblems (Frost or Triumph) when completing their task. – Normal and Heroic modes of Trial of the Champion will remain closed and not available through RDF until Trial of the Crusader is released. 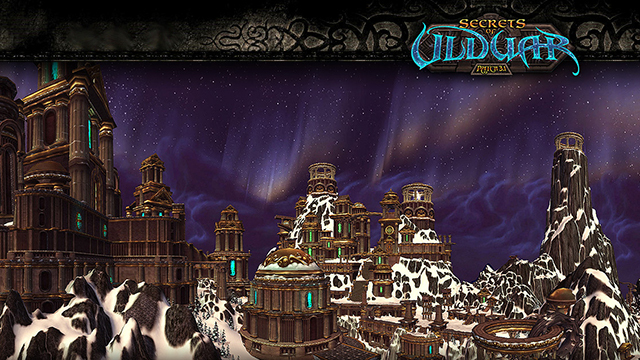 – Normal and Heroic modes of Forge of Souls, Pit of Saron and Halls of Reflection will remain closed and not available through RDF until Icecrown Citadel is released. Newcomers who are not well informed will not be asking if the feature is “broken” anymore. Enjoy yourselves. I would like to first express my most sincere gratitude for all your positive feedback and nice comments about how much you are enjoying Ulduar. That was our main goal, create the best possible Ulduar and bring back all those epic sensations that, unfortunately, haven not been available to us since the retail days. I am tremendously proud and happy for all your feedback. I would also like to tell you that I am preparing a new patch with various corrections for minor glitches that some players have tell us about. We know Ulduar is one of the most liked raids and we are really happy with the quality of our High End, so, after seeing it is causing such a good impression between groups of very experienced players, we have decided to open our doors to other communities for them to temporary try and enjoy our scripts in a rapid way. We are preparing various Open Tests to our PTR for letting guilds of other servers, that really miss this awesome raid, test the quality of the scripts of Dalaran-WoW and see with their own eyes that it is not mere cheap talk. We are sure that, thanks to this, a lot of guilds that are currently doubting about migrating to our server will have a way to make sure of our quality and how similar we are to retail. If they decide to stay and start with us, we all benefit – they will enjoy it and we will have more competition. On the other hand, if they do not decide to stay, at least they will have been able to experience raids as they are supposed to be in a good private server, and see the differences (big and small) with their current raiding place. 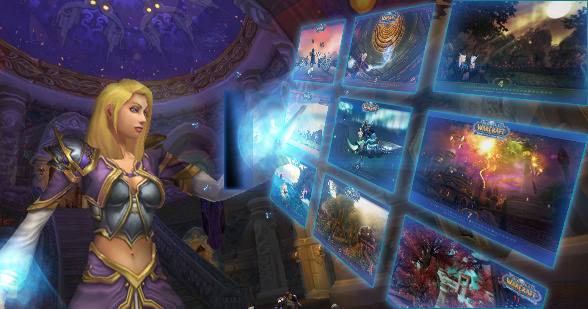 We will keep you up to date and we will open applications for guilds external to Dalaran-WoW to subscribe and like this, discover the true passion for WoTLK, and set their hearthstone with us. As an early update, tier 7 and tier 8 will be available for testing in 10 and 25 player mode. Obviously, the private betas that we will make for the new content will be STRICTLY restricted to lawyal players and participants of our PvE Tournaments. Subject: Guild name – Server. -Name of the Guild Master. -Explain us why you want to test our raids. We will provide you more details once we get your application. We are going to propose a Ulduar video conquest. Let’s show to the rest of the WotLK community what we have inside our Ulduar doors! We are really proud of the quality of our end-game content, we were the first private server with Naxxramas and Obsidian Sanctum fully scripted, but Ulduar is way more impressive, hard and epic. It is not fair for us to keep this feeling just for ourselves, we need to show it off, so this way more players can see the close our Ulduar is to retail. We think that you, the players who are experiencing this awesome raid, should show the rest what it feels like. Show them how our bosses and their mechanics work, that properly scripted bosses are not that easy, that your achievements are well deserved because you had to struggle with a real battle and a proper fight. Even if your video does not end in the top 3 but you still want us to publish it in our social networks, we will do it without any trouble. – Description: The video should have epic music, and should show impressive bosses abilities. Can have trailer or movie structure, but should make the watchers feel the epicness. – Must include an introduction that explains that the footage is from Dalaran WoW server in Algalon realm. – May be with your guild mates or other players, but the chats can not be seen for privacy issues, combat log may be shown. – Voice chat is not allowed. b) Category 2: Specific content footage. – Description: Dedicated video of an area or aspect of the raid, can be for example a video that shows all the roleplay events, or all the bosses from one area like the Keepers, or can be just one boss or one event. – Explicative letters must appear before each content, for example: Ignis the Furnace Master 25 man or Brann Radio before engage Flame Leviathan, the sigils quest line, the reply code alpha’s quest event in Dalaran, Ulduar Brann intro or even just Sif channeling over Thorim, there are much possibilities. – Voice chat is not allowed, but ingame sound must be there. – Description: Guides about how to face each Ulduar encounter, can be done boss by boss or full areas. Similar to Tankspot guides. – Of course, this category will be published only if the boss is already killed on the mode you did the video, we will keep the privacy of the tactics used for some bosses while the Realm First are still in competition. – Explanations of each of the boss abilities, and if there is a prenerf status there. – The format of the guide can be either explained by voice or with text through the video. – Explanation of how to face it from one point of view (tank, heal or dps role), can merge all of them and explain all the roles, but least one role should be fully explained for each boss. – If you want to face the trash without the bosses, you have to explain it in detail too, for example: Storm Tempered Keeper. Video: Be sure it is public or that we have access to it. Description: Explain the category in which you would like to participate, all extra information will be welcome. If we have difficulties selecting the best videos because we receive too many of great quality, we will set a poll so all of you can participate in the election. Thank you very much and good luck! For millennia, Ulduar has remained undisturbed by mortals, far away from their concerns and their struggles. Yet since its recent discovery, many have wondered what the structure’s original purpose may have been. Some thought it a city, built to herald the glory of its makers; some thought it a vault containing innumerable treasures, perhaps even relics of the mighty Titans themselves. Such speculations were wrong. Beyond Ulduar’s gates lies no city, no treasure vault, no final answer to the Titan’s mysteries. All that awaits those who dare set foot in Ulduar is a horror even the Titans could not, would not destroy, an evil they merely… contained. Beneath ancient Ulduar, the Old God of death lies, whispering…. Tread carefully, or its prison will become your tomb. Their gates will open at 19,00 Server Time during the next Friday 26th, enjoy this epic raid and good luck to the future Death’s Demise and Celestial Defenders! We are happy to announce that this amusing event is working and that all achievements are obtainable. Prepare yourselves for a few crazy days of being surrounded by pink elephants , wolpertingers and the delicious smell of sausage in the air around Durotar and Dun Morogh, enriched by the aroma of the most exquisite beers from all corners of Azeroth. Ogres, Trolls, Dwarves and Orcs will offer their wares with the Brewmaster’s specific music in the zone, invite one of the revelers for a dance and have fun. Participate in the Ram race ! Advertise the Brewfest in Orgrimmar and Ironforge and you may receive a beerbarrel on the way. You can also dress up in Brewfest clothes and dance in Dalaran after a few beers, if you haven’t had too many it might even net you a reward. However, this holiday event will also claim the attention of the Dark Iron Dwarves , who will try their hardest to steal the beer and bring it to their Chief, Coren Direbrew , hidden inside Blackrock Depths’ Grim Guzzler bar – your mission will be to stop them and defeat their leader and his daughter. 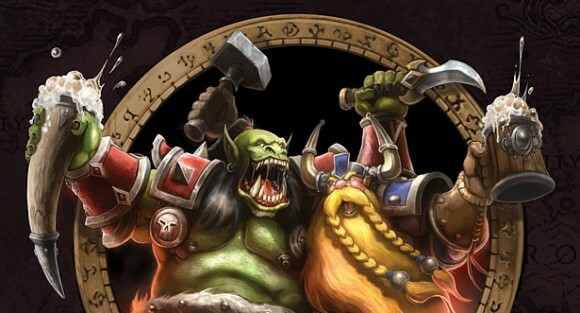 Maybe you will have the luck to hear the speech of Gelbin Mekkatorque or Vol’jin, the Brewfest Enthusiastswill help you with the task at hand. As RDF is not enabled, the Keg-Shaped Treasure Chest ‘s loot (Direbrew’s Remote, Swift Brewfest Ram and Great Brewfest Kodo ) is included in the loot table of Coren Direbrew. Since it is also not possible to arrive into the Grim Guzzler with it, we have set the respawn timer to 15 minutes. As compensation for the amount of Brewfest Prize Token due the lack of the Keg-Shaped Treasure chest, rewards of the daily quest “This One Time, When I Was Drunk ” were increased. Enjoy your time at the Brewfest and remember to send us videos and screenshots of your adventures! After such hard work, the Ulduar release date has been decided: it will be released on September 26th. The arena season will end during the September 25th. We have to say, we are insanely thankfull to all those beta testers who have spent hours testing every single mode in Ulduar – like mentioned in our google group / mailing list, without you, this would not have been possible. We hope you all enjoy with us this epic raid, and that everyone of us can have once again this unique feeling. We might be a private server, but The Secrets of Ulduar have not been seen with this quality since retail days. Trans-location complete. Commencing planetary analysis of Azeroth. PvE Tournament: Free instant 70 for current and new players. Noblegarden and Children’s Week seasonal events. More info about the upcoming Legendary PvE Tournament. Legendary PvE Tournament: WoTLK raids.